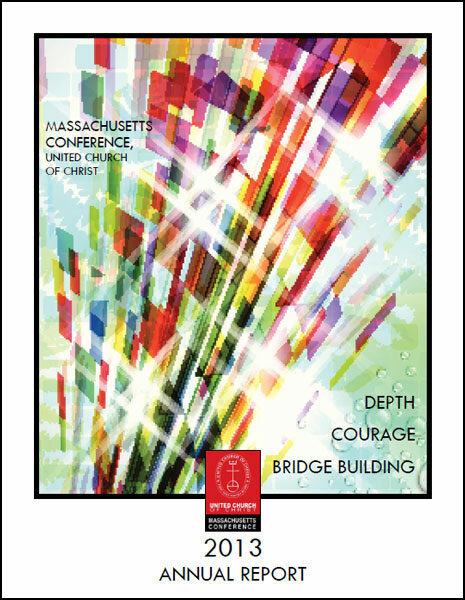 The Massachusetts Conference Annual Report for 2013 is now available. Multiple printed copies will be sent to church leaders in August, or can be requested by contacting Karen Methot at methotk@macucc.org. Jesus’ life and teachings give us the depth we need to live faithfully amidst enormous change. The witness of the prophets – both biblical and current – give us the courage we need to take on any challenge that will help make God’s love and justice real. Our solidarity and connection with others – other churches, other faith communities, those who are not part of our congregation, people who are different from ourselves – this kind of bridge-building expands our vision and makes our commitment to discipleship more resolute. Super Saturdays continue to grow as we share best practices and inspire new possibilities. Many of the best pastors from throughout the country are drawn to Massachusetts by the appeal of what we are accomplishing together. Our Pastoral Excellence Program continues to strengthen, and is now extending to the entire UCC and to other denominations. Our congregations who are at a crossroads are given an opportunity to discern and make a bold decision for their future. Every congregation is encouraged to regularly engage three questions of vision and assessment: Who are we today? Who is our neighbor? Who is God calling us to be and become? We are continuing to explore how we can give birth to a trans-denominational church movement that fully embraces UCC values. We are providing national leadership among all denominations in living out our commitment to God’s creation and future generations by divesting from fossil fuel companies. In the year ahead, let us continue to prayerfully discern and boldly proclaim the vision our Lord is calling us to live.